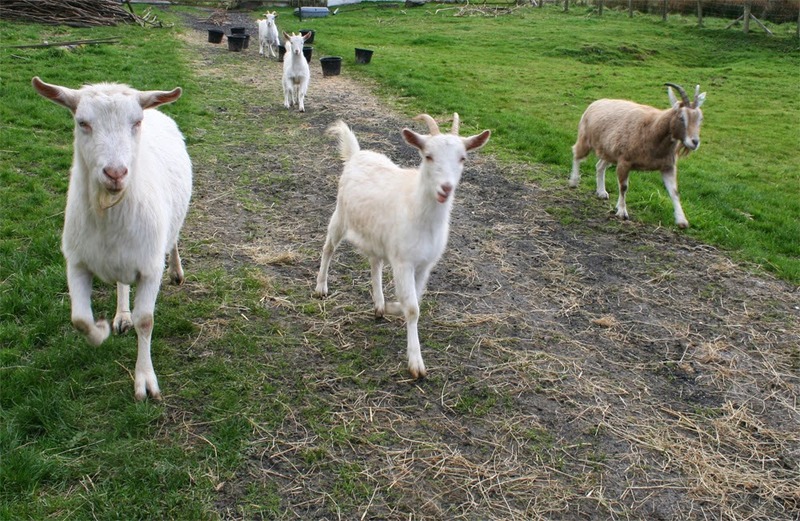 Charlie is a BIG goat (far left in this picture). Very big and incredibly strong. He has a lovely nature but has a particular dislike of having his hooves trimmed. And you can see in this picture Charlie, has no horns. Oh dear, nothing to hold onto when attempting a pedicure. The first time we ever attempted this Mike ended up with bruised ribs. We’ve always since got the farrier, a man mountain, to trim Charlie when he’s in to do the horses. But the farriers not due for a while, Charlie was limping so it was down to us this morning. Needless to say, Denise ended up on the floor somehow trapped underneath Charlie! We did manage to trim all 4 hooves, Charlie wandered off none the worse and we staggered off, battered and bruised, but pleased the job was done.